Kübler Codix 530 5 digits proces display with analog totalizer. 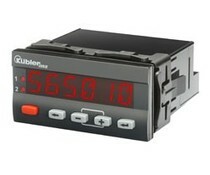 Kubler 573 multifuncional proces display for analog signals with 2 fast inputs and 2 Min/Max limits. 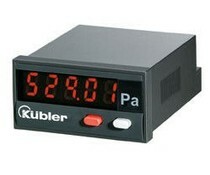 Kubler Codix 566 stain-gauge process display with 2 limits, totaliser function, programmable characteristic curve, Min/Max value detection, scalable. Easy programming with running help texts and quick-start guide. The F115 has been developed for applications where the direction of flow is an issue. 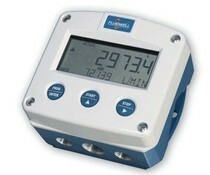 It is required to offer two pulse signals from the flowmeter which are 90° or 270° degrees out of phase. 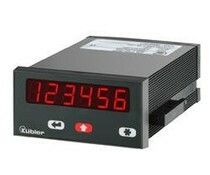 The F116 flow computer has been developed to calculate differential / consumption or total volume. The F127 flow computer has been developed to calculate corrected differential liquid volume at normal conditions. This is calculated by measuring the uncorrected volumetric flow and actual line temperature in both the supply and return line. The F197 is a manual set-point generator. 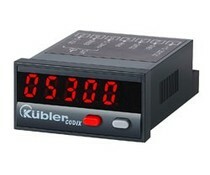 The operator enters an analog or a scaled output value or a percentage which will be transmitted as a (0)4 – 20mA or 0 – 10V DC signal to a control device. 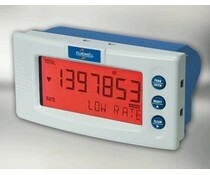 The F193 is a versatile large digit Modbus display. 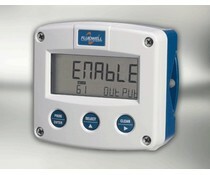 All displayed information and signal outputs are controlled through the Modbus ASCII / RTU communication protocol.